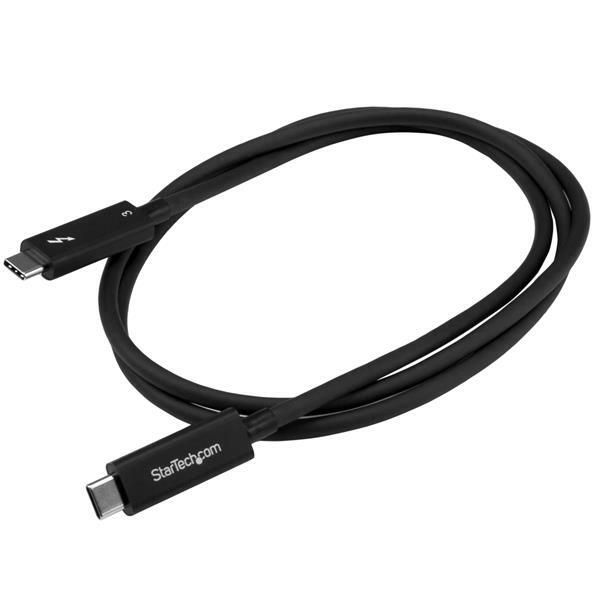 Transfer a 4K movie in seconds and complete backups in minutes with this Thunderbolt 3 USB-C cable, supporting data transfer rates of 40Gbps when connected to a Thunderbolt 3 device. You can transfer photo and video files at four times the speed of a USB 3.1 (10Gbps) cable. The cable supports up to 5K 60Hz video for astonishing resolution, contrast, and color depth with a Thunderbolt monitor. Or, use the cable with a Thunderbolt 3 dock to drive dual 4K displays. 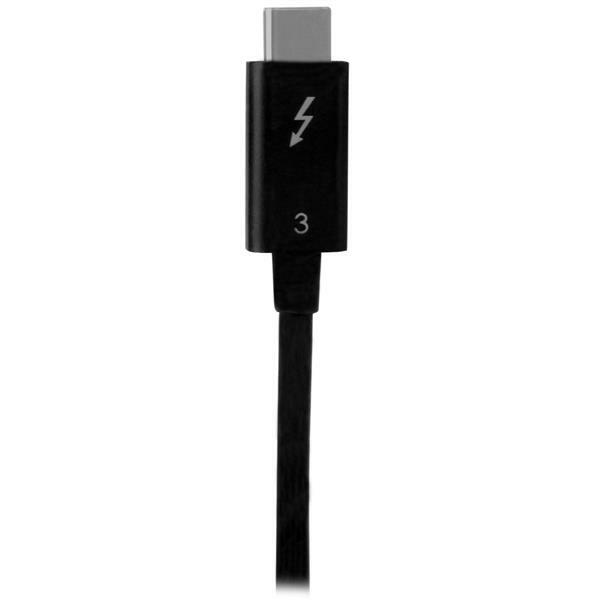 The Thunderbolt 3 Type-C cable delivers up to 100W of power for charging a Thunderbolt 3 laptop. It lets you keep your Thunderbolt 3 devices powered without needing an additional power supply. The cable gives you an easy way to bridge multiple Thunderbolt 3 USB-C enabled laptops for peer-to-peer 10GbE networking. It’s perfect for setting up small work groups and sharing peripherals such as printers and storage. You can also connect two Thunderbolt 3 laptops together, for easy PC migrations. TBLT3MM1MA is Thunderbolt Certified for guaranteed reliability and is backed by a StarTech.com 2-year warranty. Note This cable does not support native DisplayPort 1.2. 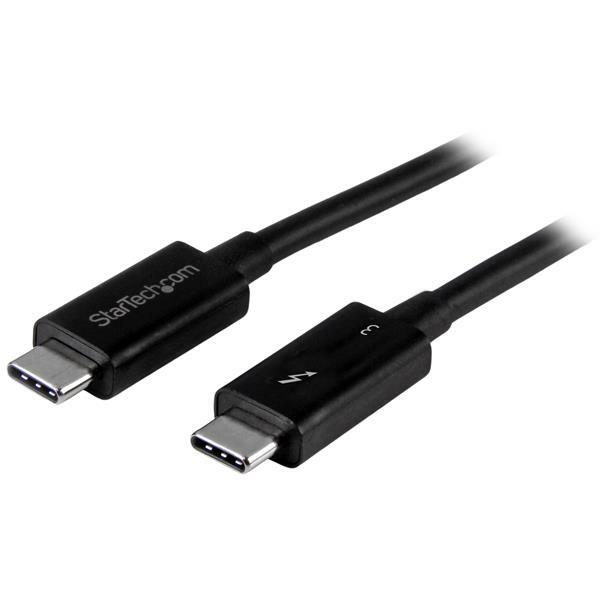 You cannot connect your laptop directly to a DisplayPort monitor using this Thunderbolt 3 cable. 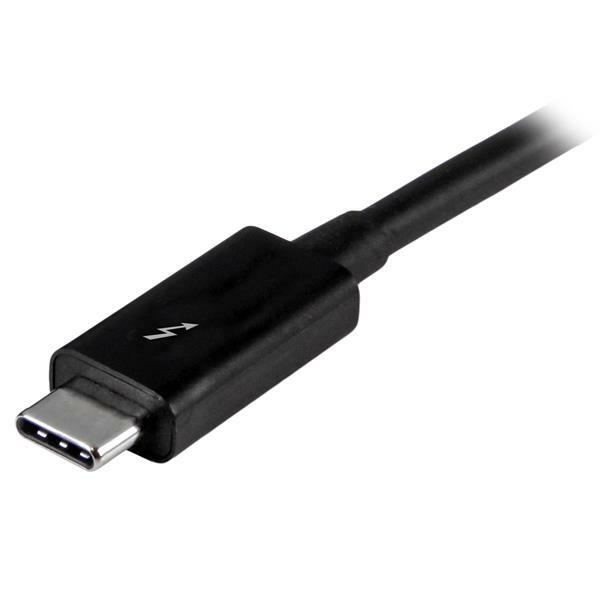 When using this cable with a USB-C device, the cable will support USB 2.0 data transfer speeds of up to 480 Mbit/s. 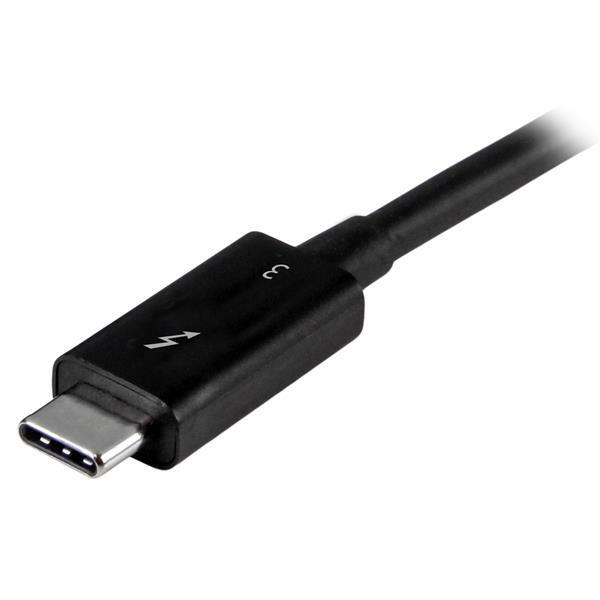 This cable is not compatible with USB 3.0 (5Gbps) or USB 3.1 (10Gbps) USB Type-C devices such as external drives, docking stations, etc.